Mercedes-Benz OEM parts and genuine Mercedes-Benz accessories allow you to customize and increase the capability of your vehicle and add some personal style. Parts and accessories made specifically for Mercedes-Benz vehicles and Mercedes-Benz drivers, who are sure to love these in the Clayton area. iPad® Docking Station located on front headrests for rear entertainment, with charging and rotation feature. 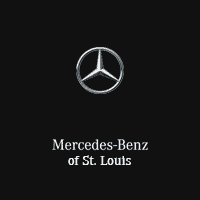 Mercedes-Benz of St. Louis is your Mercedes-Benz accessories store, so contact us online with questions about available parts and accessories. You can also visit us in person in St. Louis to see our available parts. If your love of the Mercedes-Benz brand is serious, you can even upgrade your look with the Lifestyle Collection of Mercedes-Benz shirts, jackets, hats, tumblers, and jewelry. In the event that an accident is about to occur, the Mercedes-Benz PRESAFE® system activates. This system activates precautionary measures that help ensure the safety of you and your passengers and is available on many new Mercedes-Benz models. Read on to discover more about this high tech safety system at Mercedes-Benz of St. Louis, your Clayton-area Mercedes-Benz dealership…. 0 comment(s) so far on What are Mercedes-Benz Accessories?